I don't have much of a Christmas vacation this year, but it's the weekend now, so at least there are a few days off to look forward to! These are adorable!! I love them so much. 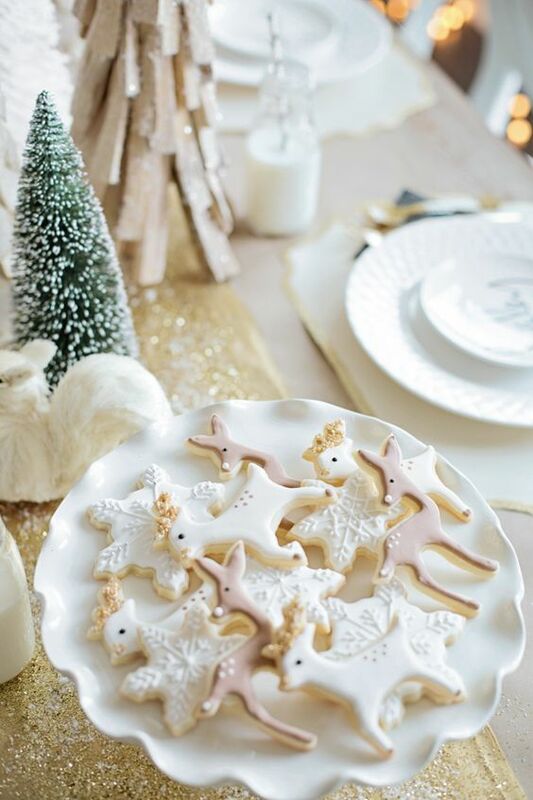 Might be a bit challenging to ice but they are amazing, so it would be fun to try! This table setting is beautiful. I started looking up gold cutlery sets after I saw this! 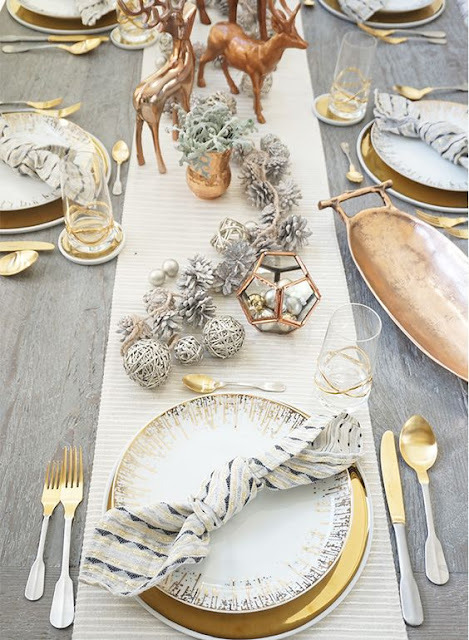 I love how these are a few different metallics and white in this table setting as well. 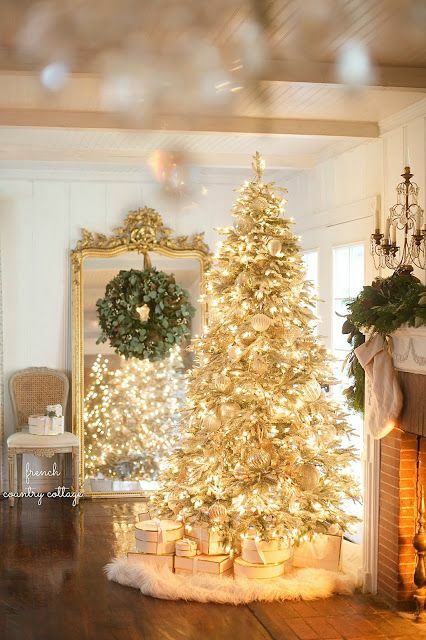 Really cool tree idea if you have a light coloured tree, or all white tree! 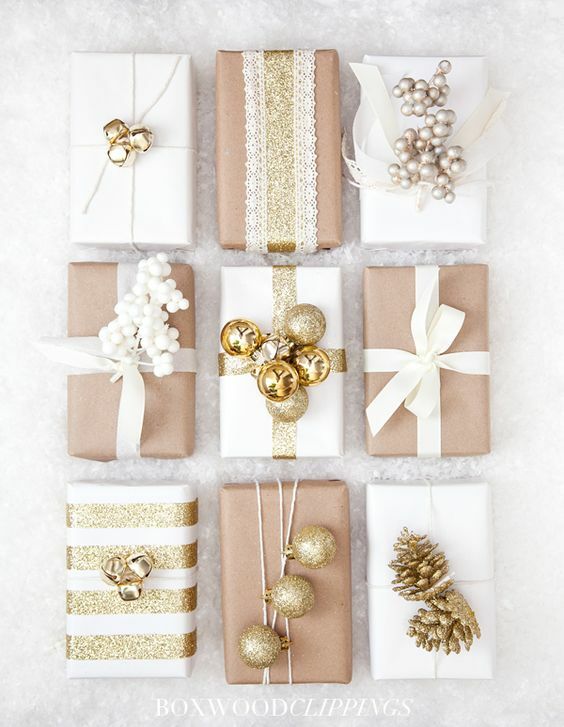 Add lots of silver and gold decorations and the furry rugs as the tree skirt. I like how all of these boxes are a bit different but are tied together with gold as the main theme. Really pretty! Easy DIY! 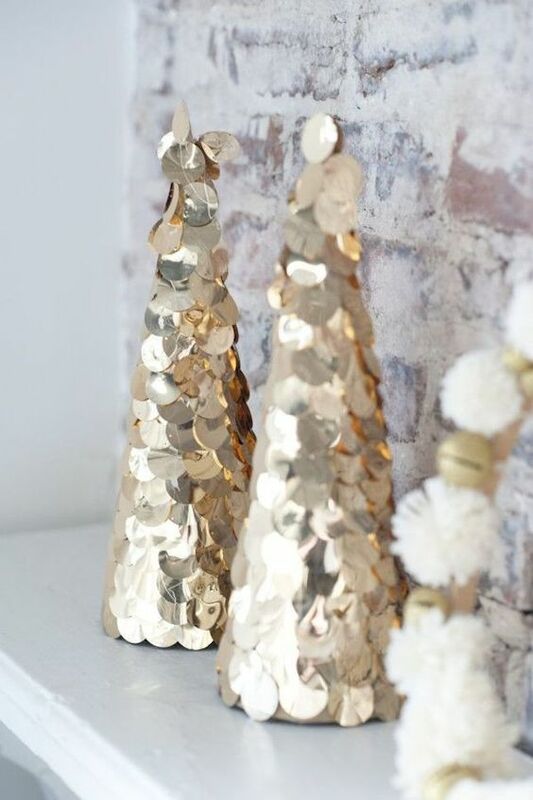 Just make the cones out of cardboard (cereal or cracker boxes), tape or glue it into a cone shape, and cover with a sequin fabric. Also works with many other coverings!